The apartment Iris is the downstairs apartment next to the Azalée apartment. This apartment is slightly more spacious than Azalée and Marguerite at 65 m2. 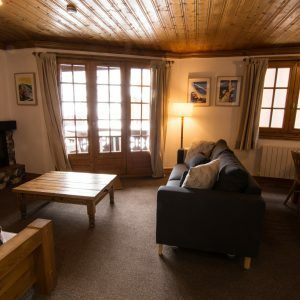 All our apartments in Chalet Alice Velut have log fires. 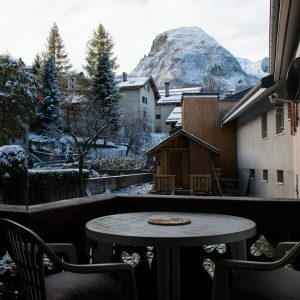 Access onto a small covered balcony with mountain views. 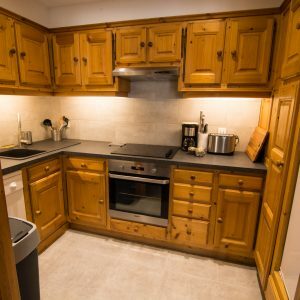 This apartment is well equipped for your self-catered holiday. 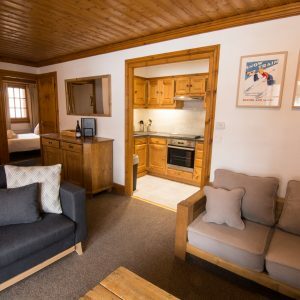 The chalet kitchen in this self-catered apartment has been fully renovated. 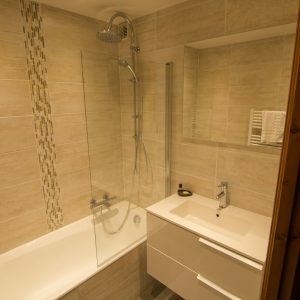 The apartment 'Iris' has a brand new modern bathroom. 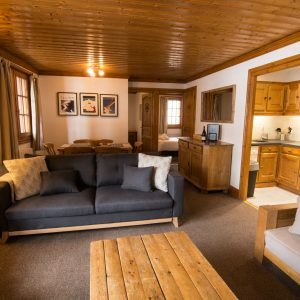 Chalet Iris is a bright and spacious chalet apartment situated on the ground floor of Chalet Alice Velut – In the very heart of St Martin de Belleville. 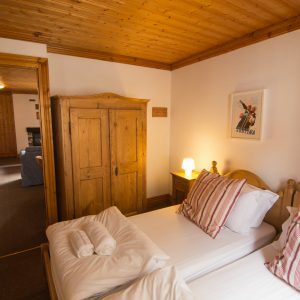 The apartment offers enough space for 4 – 6 people in 2 bedrooms and can easily be booked together with the neighbouring apartments if more bedrooms are required. The open-plan living area is spacious and bright with access onto a partly covered balcony. 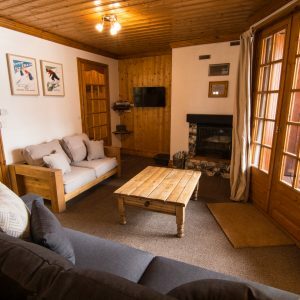 The niche kitchen has been renovated this summer and is well equipped with full-size oven, 4 stove tops, fridge/freezer and dishwasher. 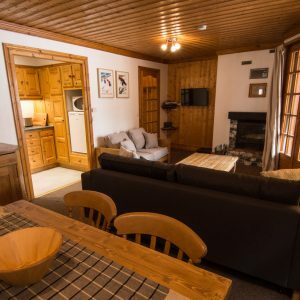 The bathroom and separate WC have also been completely renovated to a very high standard making this apartment very attractive for small groups and families! 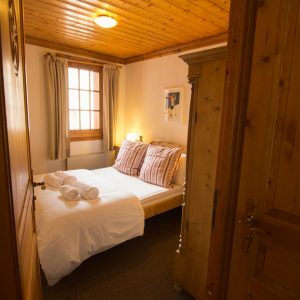 The ski apartment ‘Iris’ is situated on the ground floor of ‘Chalet Alice Velut’ – right next to the apartment ‘Azalée’. 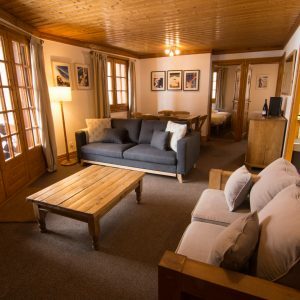 The prices above allow up to 4 people in the ‘Iris’ apartment. A 5th person can be added (sleeping on the sofa bed in the lounge). Our ‘extra person fee’ is charged. Please contact us for your price quote! 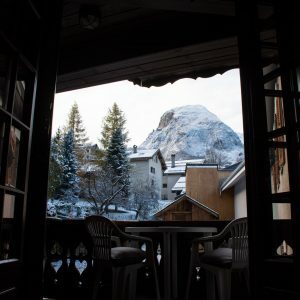 "PERFECT CHALET FOR WINTER SPORTS"
"[...] Amazing views from the large windows, a terrace with a table and chairs, working fireplace. 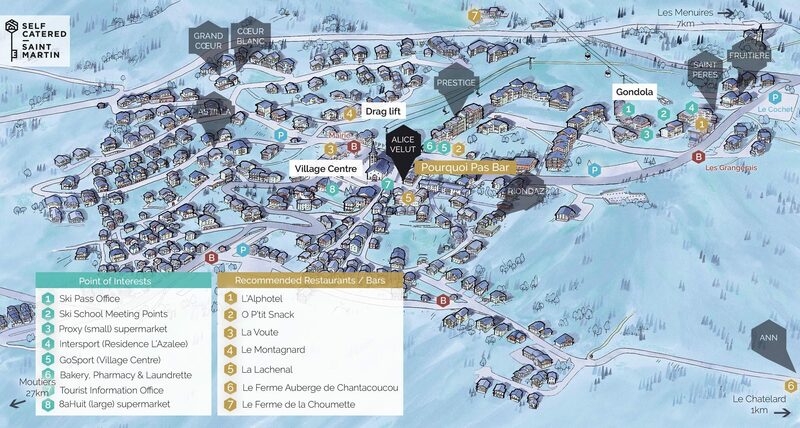 Only 1 minute walk from the piste, supermarket, bar and restaurant next door, butcher's, baker's, everything you may need in a walking distance. The village is remarkable itself, it is old, tidy, not overcrowded[...]"